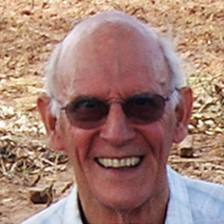 It is with sadness that we have learned of the passing away of Mick Levick who has been a staunch supporter of Masasi Diocese. Mick made many visits to Masasi with his wife Val and they held many places in great affection. Mick held the honorary title of UK Commissioner to the Bishop of Masasi and was a very special friend of the retired Bishop Patrick Mwachiko. Mick lived in Malvern, Worcestershire and will be greatly missed by many people at home and also in Masasi.